The Vitamix 1782 TurboBlend can be used to make smoothies, frozen desserts, hot soups and so much more. It has an intuitive design with only two speeds, high and low, making it easier to use and easier to get consistent results every time. It’s powerful, 2 peak horsepower motor gets the blade moving at up to 240 mph. When you have a motor that powerful with high quality stainless steel blades you can easily process whole fruits and vegetables, crush ice, or grind, chop, purée, or blend any ingredients necessary for your favorite recipes. From our research we found Amazon to also have the best pricing for the Vitamix TurboBlend. The reviews for the Vitamix 1782 TurboBlend are excellent. When researching this machine we found over 60 user reviews online and it received an average user rating of 4.5 out of a possible 5 stars. It is a high quality and very durable machine that most customers are very happy with. Most customers agree that the Vitamix 1782 is very easy to use and is also easy to clean. It also comes with a wonderful recipe booklet with recipes for things like soups, sorbets, smoothies etc. The 2 peak horsepower motor is very powerful and one customer said that they did some math and figured out that this blender was six times stronger than their garbage disposal. One customer said that if you’re going to make smoothies every day, this product is worth its weight in gold. It is an expensive mixer but it is very powerful and very durable. One customer said that they abuse the heck out of this machine making smoothies with fresh fruits and vegetables every day and they said that “it just won’t quit.” They said that everything gets blended quickly and completely and that it allows you to get creative with your drinks. Another customer said that he and his wife love to prepare fruit smoothies and they do so by combining frozen fruit and ice. They said the cheaper blenders they have used in the past couldn’t handle the strain of two or more smoothies per day. They were hesitant to spend the money on the Vitamix 1782 TurboBlend but once they finally decided to make the purchase, they said that they found out that this machine was even better than they thought it would be. 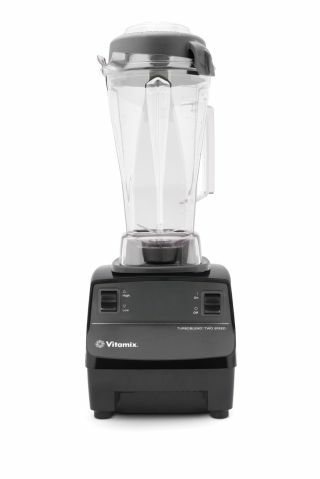 The bottom line is that although the Vitamix 1782 TurboBlend is an expensive machine, the vast majority of customers that left reviews online agree that it is worth the price. It is a powerful, durable machine that gets the job done and will last for many years. How Can I Find the Best Blender for My Budget?